A study by Deb Raji, a fourth-year student in the University of Toronto’s Faculty of Applied Science & Engineering, and researchers at the Massachusetts Institute of Technology is underscoring the racial and gender biases found in facial-recognition services. Raji spent the summer of 2018 as an intern at MIT’s Media Lab, where she audited commercial facial-recognition technologies made by leading companies such as Microsoft, IBM and Amazon. The researchers discovered that all of them had a tendency to mistake darker-skinned women for men. But one service in particular – Amazon’s Rekognition – showed a higher level of bias than the rest. Although it could identify the gender of light-skinned men with nearly 100 per cent accuracy, it misclassified women as men 29 per cent of the time, and darker-skinned women for men 31 per cent of the time. Rekognition was recently piloted by police in Orlando, Fla., using the service in policing scenarios such as scanning faces on cameras and matching them against those in criminal databases. With rapid advancements and deployment of artificial intelligence (AI) products, this new study emphasizes the need to not only test systems for performance, but also for potential biases against underrepresented groups. Although algorithms should be neutral, Raji explains that because data sets – information used to “train” an AI model – are sourced from a society that still grapples with everyday biases, these biases become embedded into the algorithms. These biases should be called out, just as one would hold a person accountable, says Raji. “There’s this increased danger when you embed that bias into an algorithm versus when a human makes a prejudiced decision. Someone will tell you it’s wrong, whether it’s the public or your boss,” she says. Raji’s passion on the subject of bias in machine learning comes from her time during a work experience placement at the startup Clarifai AI, where the topic of AI and ethics was regularly discussed at the research-oriented company. “It’s something that the company noticed and was very explicit about addressing, and it’s a subject that personally resonated with me because I’m a visible minority,” she says. It also stems from her very own personal experiences with racially biased technologies. “I’d build something at a hackathon and wonder why it couldn’t detect my face, or why an automated faucet can’t detect my hand,” she says. Raji shared her experiences with computer scientist and digital activist, Joy Buolamwini, at MIT’s Media Lab. 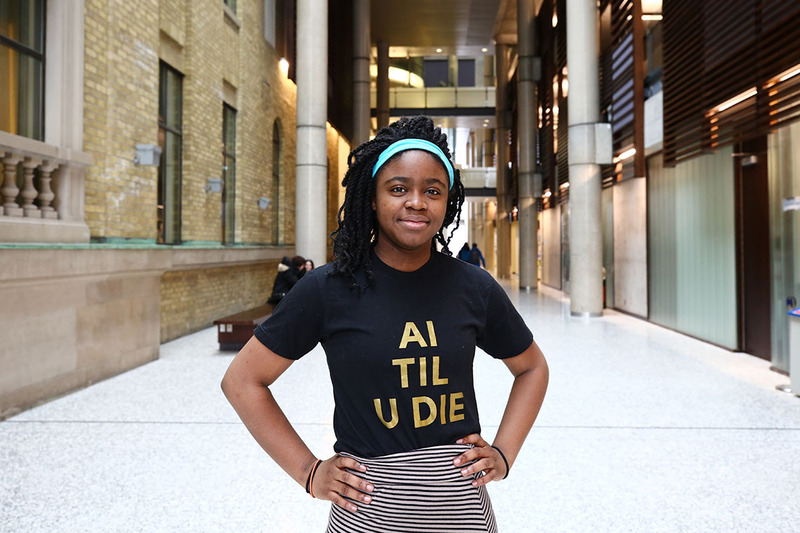 This led to the internship, and to Raji becoming the lead author on a paper that she presented at the Association for the Advancement of Artificial Intelligence Conference on AI Ethics and Society. Raji is currently finishing her last term in engineering science and running a student-led initiative called Project Include, which trains students to teach computer programming in low income neighbourhoods in Toronto and Mississauga. She is also a mentee at Google AI. As part the mentorship program, she is working on a new thesis that focuses on practical solutions to hold companies accountable.